Currently, there is only one way to make payments for your monthly bills (phone, electricity, water, insurance, DTH etc) : Visit the individual websites of the service vendors and manually enter the payment details. In some cases, like mobile bills, Internet banking does allow you to save the details so that the billed amount gets automatically debited, but this facility is not for all telecom operators or for all service vendors. 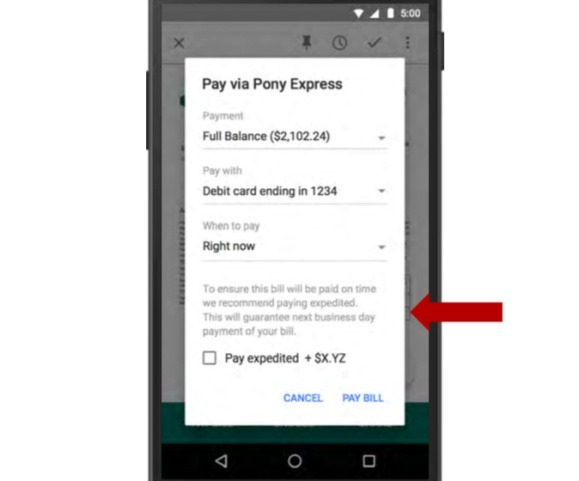 Google is now working on a new concept which will drastically change the way consumers make the bill payments. 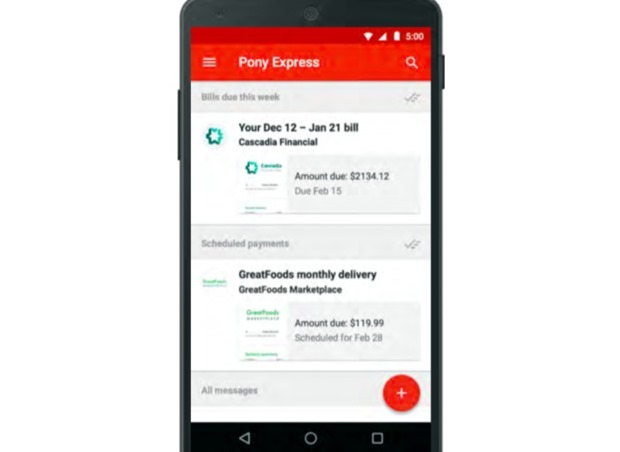 Code named as Pony Express, this new service will now bring all your monthly bills into your Gmail inbox, and store them in a special folder. You can view all the bills at one location, and even make the payments with a single click. Secret documents related with this service have been accessed by Re/Code, and its not yet clear whether Pony Express is the code name of this project or the service would be launched using this name itself. As per them, this service maybe be launched later in 2015. Google have declined to either confirm or reject this news. As per the documentation accessed by Re/Code, any Gmail user can register for this service by entering their name, address, phone number and social security number (for US customers) into this tool. A third party will verify this data, and based on that, the service would be activated. There is also a speculation that the user maybe be prompted to enter their credit card information in the beginning, in case Google Wallet it not activated for that Gmail user. As Google is partnering with those logistics vendors who ship and mail service bills via physical post to various customers, they will be easily able to transform the offline data into online data, and thus send all the monthly bills into the customer’s Gmail inbox. As seen in the screenshots, once the bill is viewed, the customer can make the payment with one single click after the credit/debit card is added into the system. 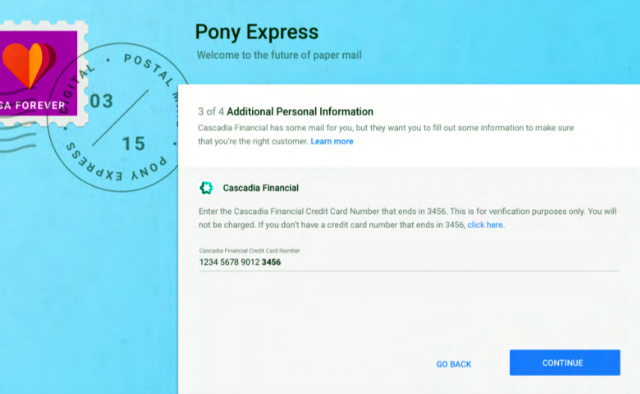 It is also speculated that Google Wallet can be interlinked with Pony Express, and payments can be made via that as well. How Will Google Benefit from this Free Service? In case Google Wallet is used, then Google is no doubt charge a commission on each payment from the service vendors. But besides that, it’s the information which is Google’s primary diet. This new secret project can be described as another attempt by Google to organize world’s information into meaningful chunks of data, and then mine it for maximum leverage. For example, for Google Books project, Google has already scanned and stored 30 million+ books which are now available online and can be used for various research purposes. Similar way, once Gmail user start using Pony Express to make their monthly payments, then Google will have unrestricted access to billions of dollars of financial data, sorted as per the industry, name, age and financial position. Specified, targeted advertisements can be shown to the targeted audience. For example, Google will know that there is a Female, aged 30, Annual income Rs 10 lakh, movie lover, spends Rs 10,000 every month on restaurants and visits a foreign location every 6 month. Now, it won’t be a rocket science to lure advertisers and loan providers into spending advertisement dollars for such a customer, on Google network. A very clever, and deliberate ploy by Google to capture the financial data market. We will keep you updated as more information comes in for Google’s Pony Express.